September can be a tricky month for cooking. On the one hand, it still feels like summer. And not just any summer, but the most perfectly warm, comfortable, low humidity summer. On the other hand, I’m running into things like root vegetables and apples at the markets and just itching to get into some heartier, fall-centric cooking. Things involving slow roasting and braising. But this weather though. Fall cooking just feels..wrong. Of course, it doesn’t matter if the weather still feels like July, come September, you’re inevitably going to find yourself with a bounty of fall produce; things like delicata squash. Incidentally, I wait all season for this wonderfully sweet, delicious, winter squash to arrive, and as soon as they start appearing in my CSA boxes, I’m going to be cooking them, summer weather be damned. This latest squash creation though, while it does involve some roasting, still feels like the sort of thing that could be eaten outside on a warm day, with a nice cold beverage. It seems like a fitting bridge between summer and fall. And most importantly, helps to satiate my ever present need for more cheese - I think we can all agree that the quesadilla is one of most perfect vehicles for cheese. Also, can we just focus for a minute of how wonderful delicata squash is? First off, its wonderfully thin skin, which requires absolutely no peeling is perfect for when you want squash, but are feeling a bit lazy. Just scoop out the seeds, slice thinly, and get cooking. Also, its lovely, mellow sweetness is perfection, a perfect compliment to the smoky paprika and chile it spends some quality time roasting with. Some additional sweetness from sweet peppers and red onion rounds everything out, and once layered between crispy tortillas and warm melty cheese, you’re looking at some serious comfort food. Before I get to the recipe though, I’d just like to point out that besides signifying the onset of fall, this time of year also means it’s time to get voting in the Best of Madison readers poll. With such wonderful readers (and voters) we’ve managed to win a Best of Madison bronze medal the last two years in a row, and making it a threepeat would be pretty amazing! 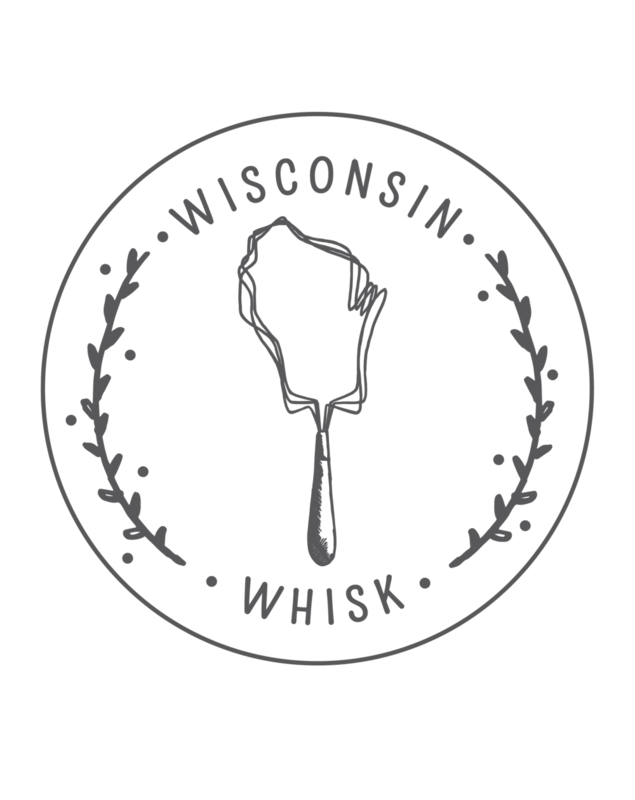 Vote here for Wisconsin from Scratch in Best Local Food Blog (and don’t worry, you don’t need to fill out the whole form). In fact, if you’re so inclined, you can consider voting once a day every day until October 17th! I served these with a quick pico de gallo I whipped up from some late season cherry tomatoes, and hot chiles from the farmer’s market, as well as a big dollop of greek yogurt. Perfection. 2. Cut the delicata squash in half, scoop out seeds, and slice into ¼ inch thick slices. 3. Combine the squash, peppers, and onions in a large bowl. Add the oil, cumin, paprika, chipotle, ancho, salt, and cayenne, and mix until vegetables are evenly coated with the oil and spices. 4. Spread vegetables in a single layer on a baking sheet and bake at 400 degrees until squash is crispy and tender, about 25-30 minutes. 5. To assemble quesadillas, place 4 tortillas down and top each with 2 Tbsp of grated cheese. Divide roasted vegetables evenly between the tortillas and top with the remaining cheese, followed by the remaining 4 tortillas. 6. Heat a skillet over medium heat. Once hot, place the quesadillas on the skillet, cooking until bottom tortilla is golden brown. Carefully flip, and continue cooking until the other side is golden brown. 7. Cut quesadillas into quarters and serve! Salsa, sour, cream, avocado, lime, and/or hot sauce highly recommended as an accompaniment.